If I never got lost, I’d never learn to find my way. I accept the mystery of not-knowing. I am grateful for all aspects of my journey. 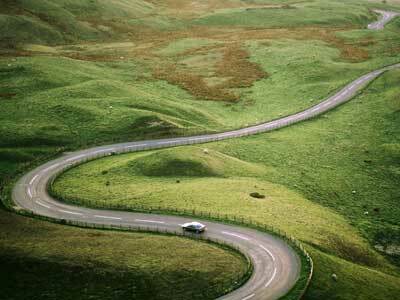 Every day is a winding road that we’re traveling for the first time. Some days we feel like seasoned navigators, others more like orphans dropped from the stars. Our displaced orphan days are often the hardest to journey through. Imagine being placed in a car, in the middle of a foreign landscape, with no knowledge of where you are, and being told to drive to a city called Point B. Not knowing where we are in life can feel much the same, but those are the days of *growth* and *expansion*. Those are the times we have opportunities to cultivate faith, build inner strength and surrender to the mystery. And it doesn’t matter if we get lost, because it isn’t about the destination, it’s what we learn along the way. Fabulous. True and so profound. Thank you so much for this wonderful blog. I love reading your daily posts. They always inspire me. Thank you for such kind words, I really truly appreciate them.